Chisholm Trail Campground, Altoona FL Tom"Wolf Eyes "
Market of Marion, Hwy. 441 S.
Dec. 4-5-6-7 Pow-Wow at Leesburg FL Tom"Wolf Eyes"
Sacred Fire Moon Ceremony led by Soaring Eagle (Lake Hancock, God's Pantry FL. Intertribal Spiritual Moon Circle on Saturdays at 7:00 pm. Merritt Island, FL, in rear of the Moose Lodge just north of Barge Canal bridge. Pow Wows 2002 - Januaray - May missing. We did not receive a copy. 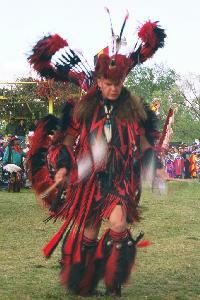 Native American Culture site created January 1, 2000. Border gif and email graphic copyright by Sonny Del Castillo. Thank You.